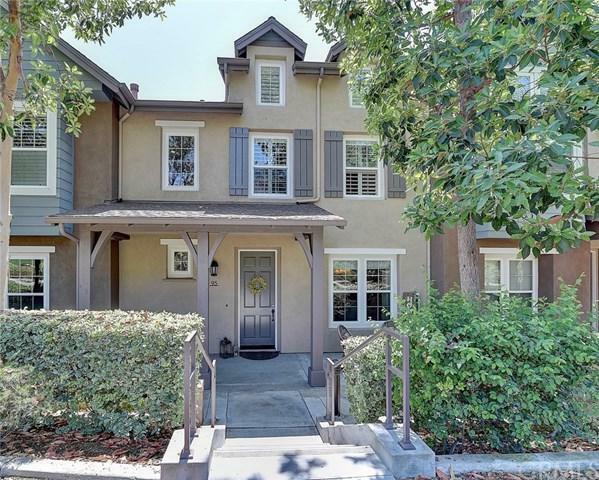 Gorgeous two story townhome has 3 bed +loft & is move in ready! 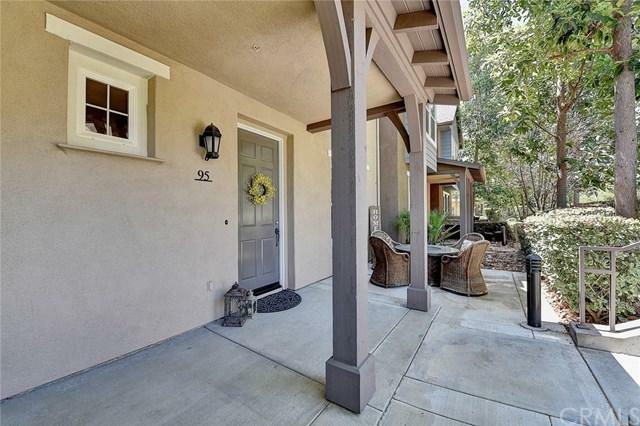 Beautiful covered front patio greets you as you enter this totally upgraded home. 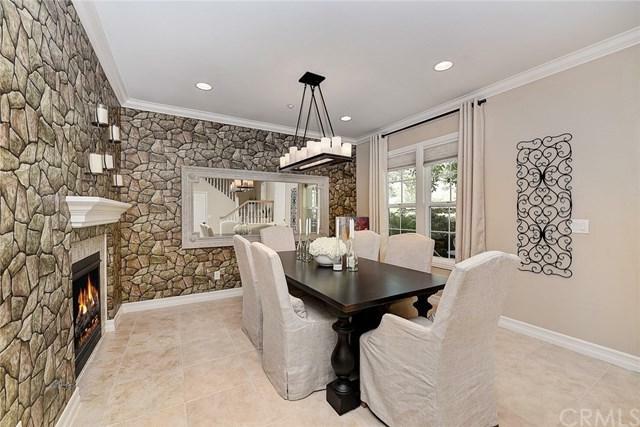 Downstairs has neutral tile flooring with upgraded baseboards, crown moulding and formal living room with 2 sided fireplace which leads to the spacious family room with custom built ins and dining area with additional built in cabinets. The light and bright kitchen is perfect for cooking and entertaining with the stainless steel appliances, gas stove and island. Outside patio off the kitchen is perfect for grilling or chillin! Upstairs you will love the new distressed grey wood laminate floors throughout! Master suite has cathedral ceilings, plantation shutters, walk in closet, spacious master bathroom with dual sinks, separate tub & shower and an upstairs bonus loft which is perfect for an office, gym or baby room! The 2 additional bedrooms upstairs are also well appointed with crown moulding, chairrails, upgraded floors & baseboards and has attached jack-n-jill bathroom with dual sinks. Attached 2 car garage with epoxy floors & direct access & upstairs laundry room with sink are 2 more reasons you will love living here! 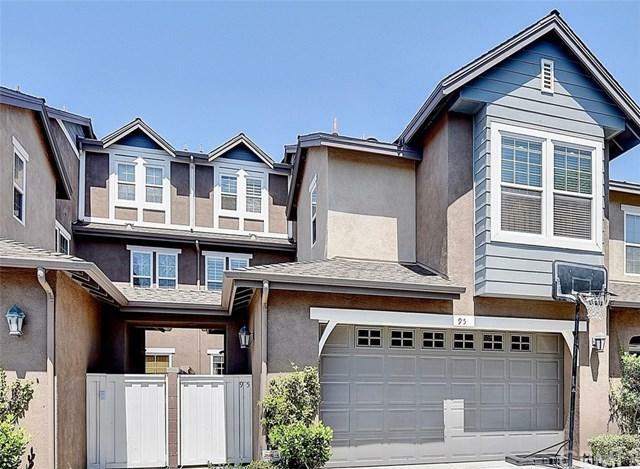 Best of all you are zoned for award winning schools,walking distance to some of Ladera's many pools, parks, water park, skate park, dog park, tennis, library, shops, restaurants, clubhouses and miles of trails! This is the home you have been waiting for! Perfect for homeowner OR investor as seller will rent back! Sold by Leonard Hamai of Up Realty Inc..